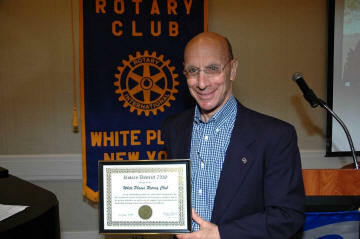 Gen X are those born after the baby boomers, generally considered birth years from about 1963 to 1980. 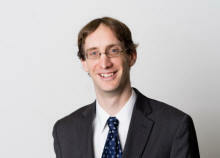 The Social Security Administration defines Generation X as those born between 1964 and 1979. 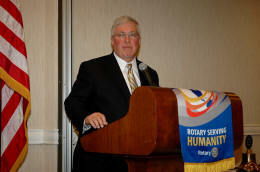 The Department of Defense sets the parameters at 1965 to 1977. 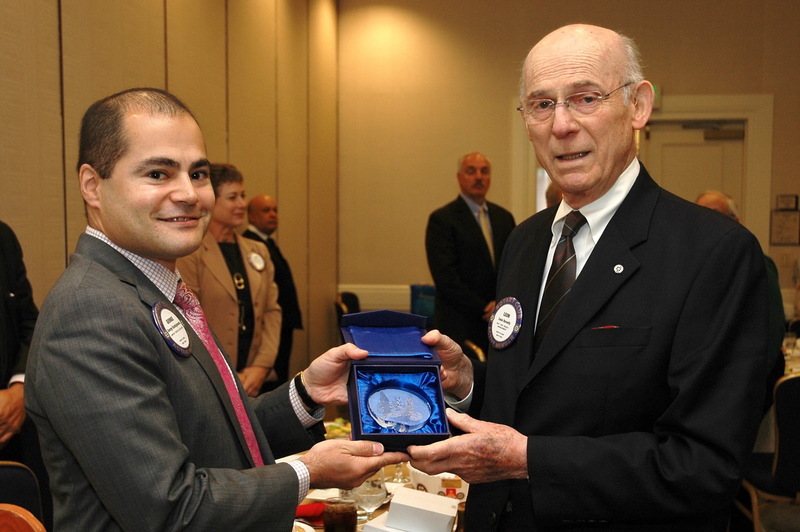 Whatever definition you accept, we know that George is one! He is the first Gen X president of our club. He represents the future. 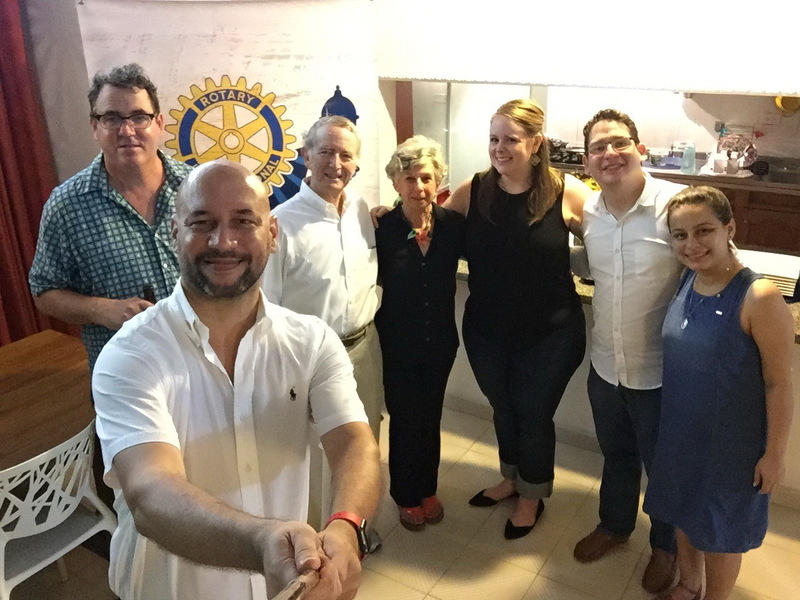 July 12, 2016 Scott Wagner is the Founder and President of the company "GO DIRECT" which is a new approach to marketing for small businesses. 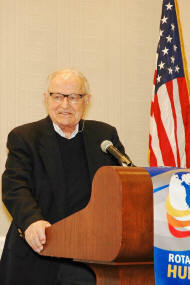 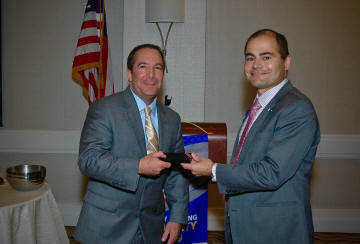 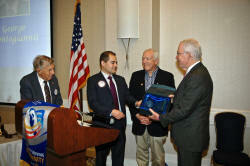 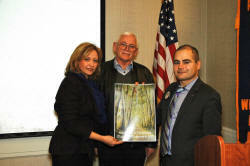 Past President Bill Fishman proudly displays the award from District 7230 for our club being an exceptional performer! 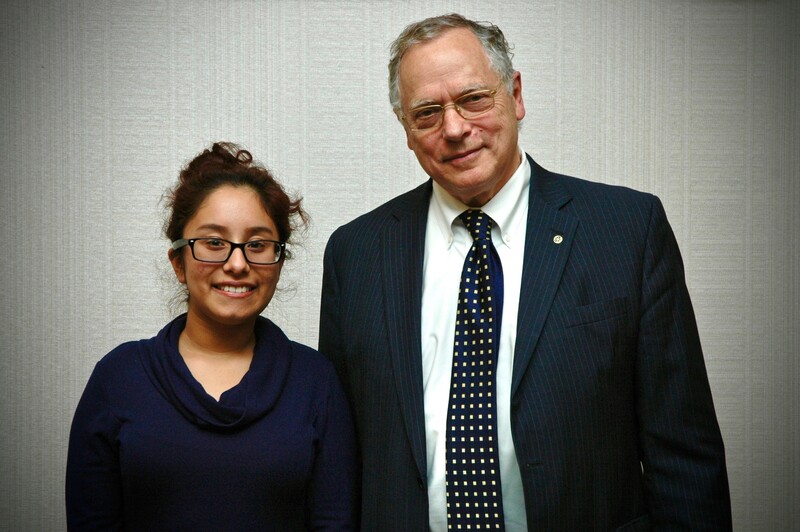 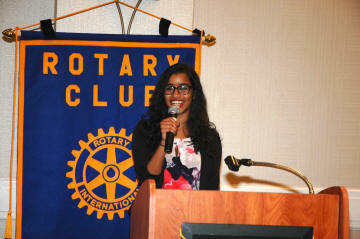 Raina Kadavil, a recent scholarship recipient, returned to brief us on her recent activities. And she is no ordinary college freshman. Raina, a rising sophomore at Boston University, is studying Economics and International Relations at the Pardee School of Global Studies, but that is far from the whole story. She has won other awards, traveled to Australia, founded a TV news program at B.U., and published a young-adult novel. 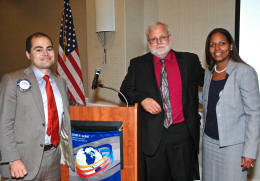 And spoken at the United Nations. 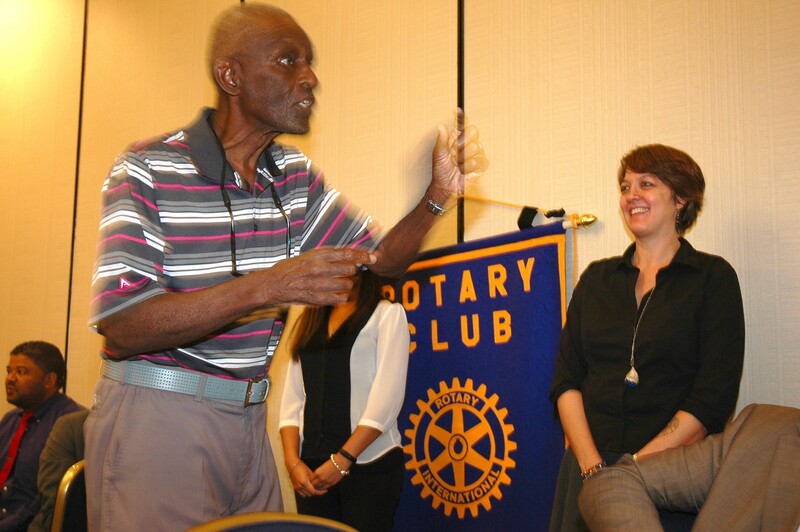 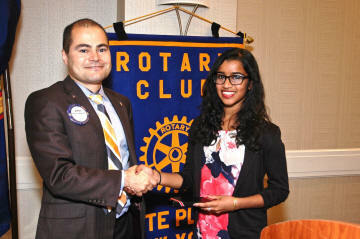 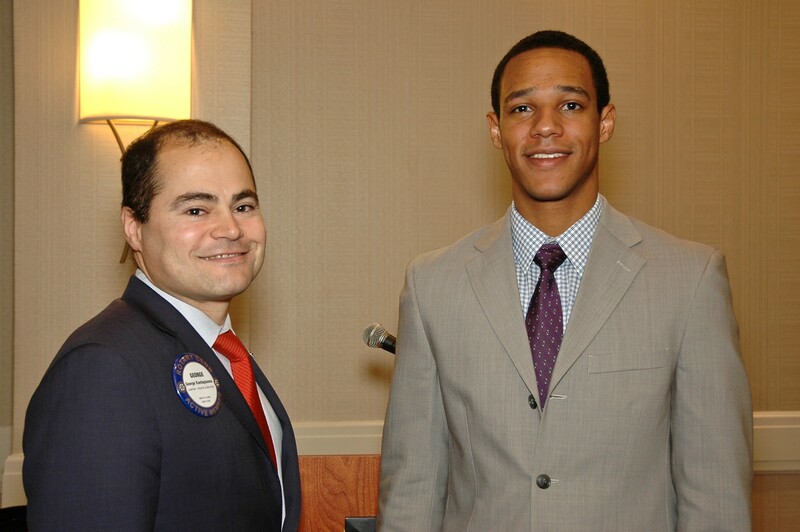 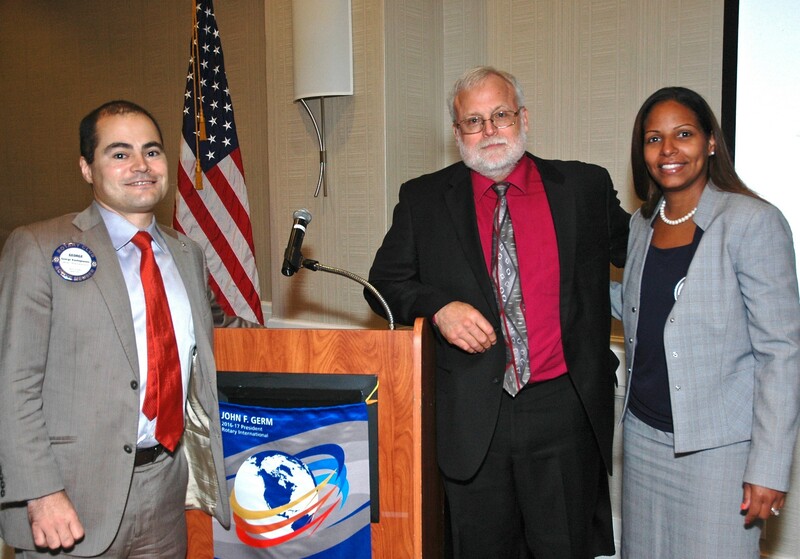 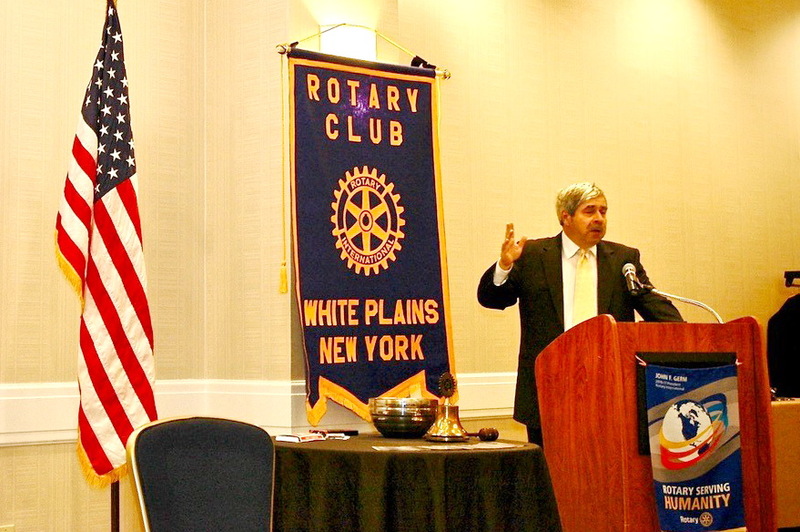 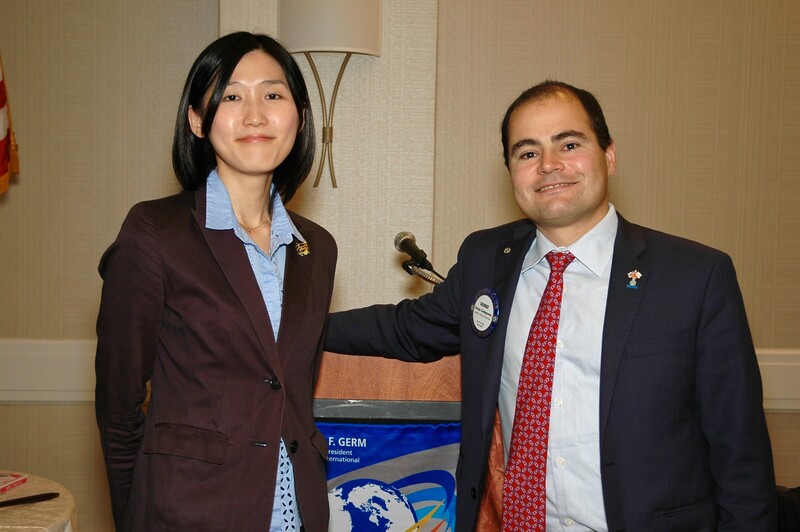 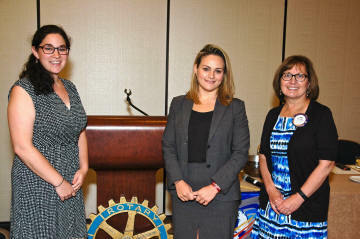 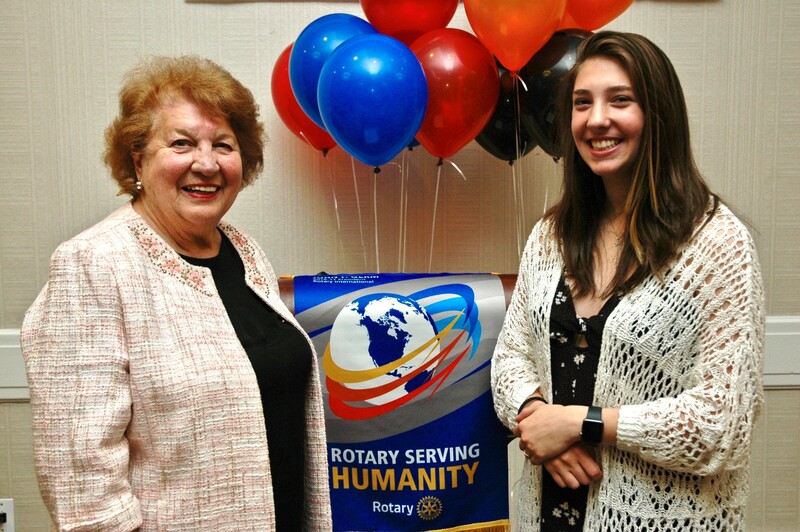 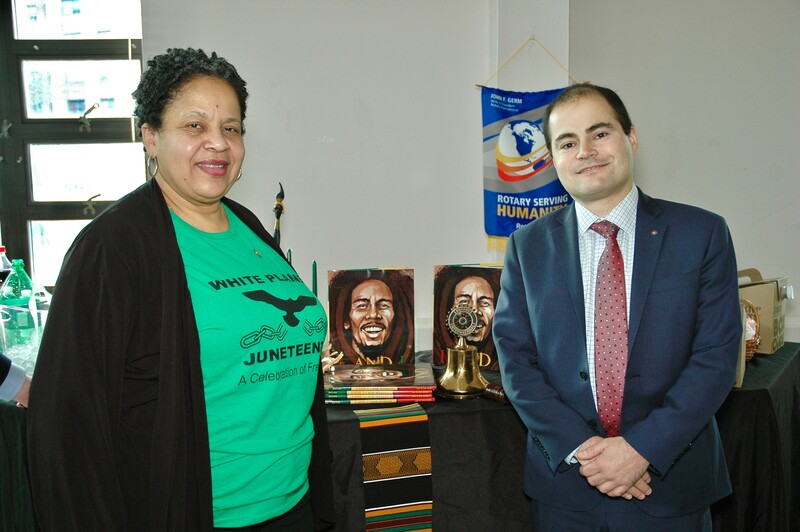 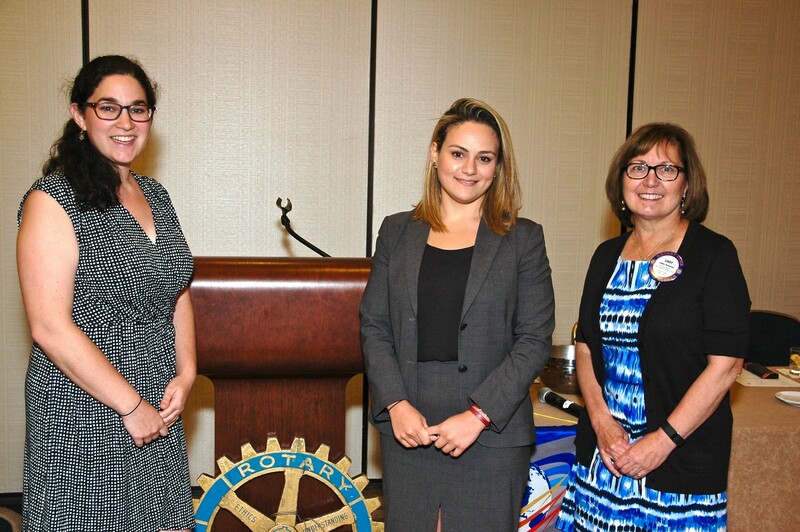 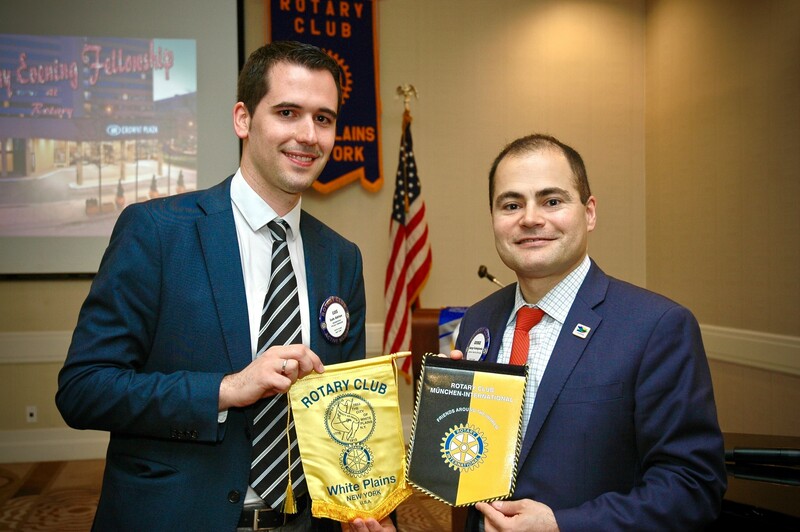 Members of the White Plains Rotary Club were, needless to say, impressed by Raina's accomplishments, as well as her mature speaking style. 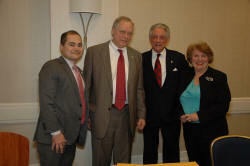 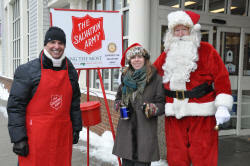 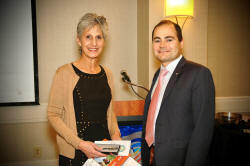 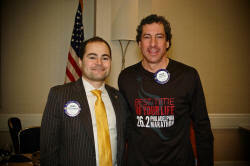 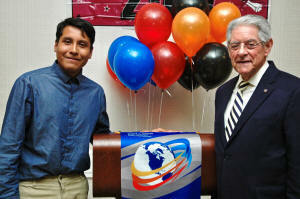 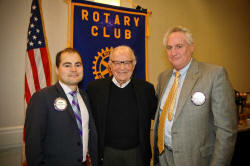 "We certainly chose a winner," said Nick Wolff, co-chair of the Club's scholarship committee. 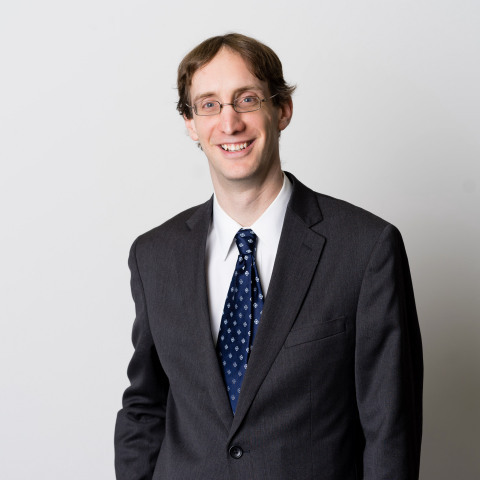 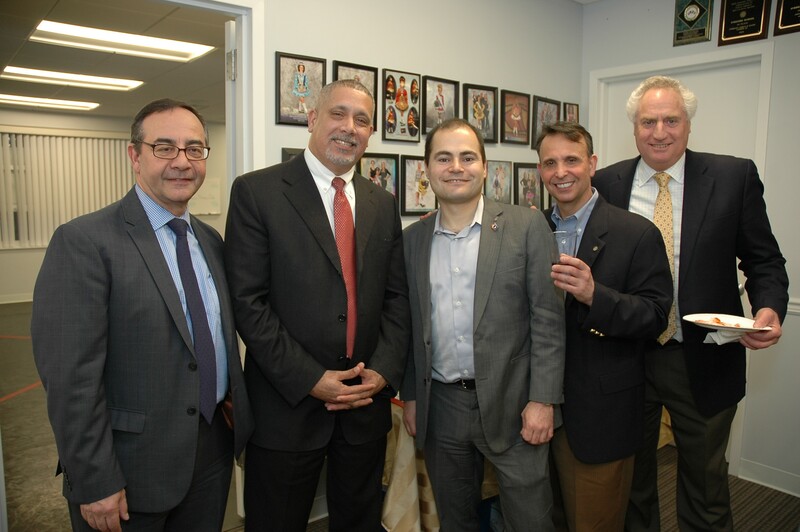 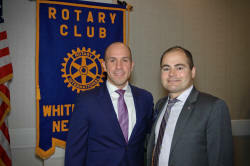 Paul Anderson-Winchell is the Executive Director of Lifting Up Westchester, an agency that runs 8 programs providing homeless and poverty services to more than 4500 people in need every year for almost 40 years. 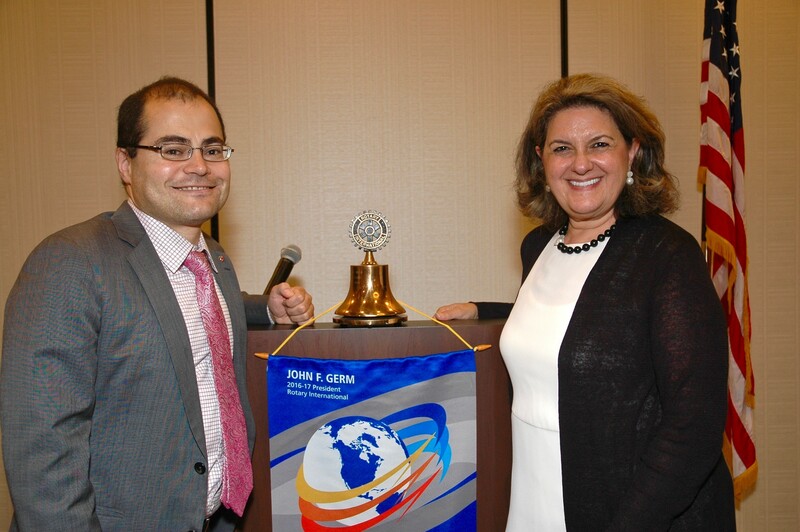 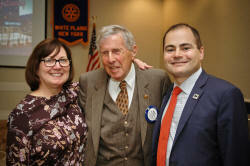 Lifting Up Westchester is the recipient of our fundraiser in October.This is Paul with President George and Rotarian Lisbet Acuna. 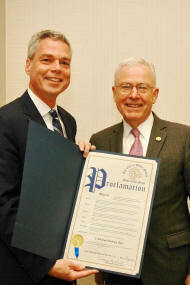 Timothy L. Hall became the 12th president of Mercy College on May 13, 2014. 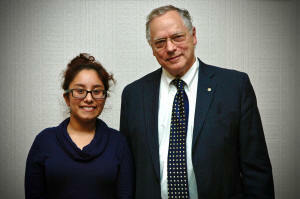 His immediate priorities were to increase enrollment at the College’s four campuses and to promote greater student success. 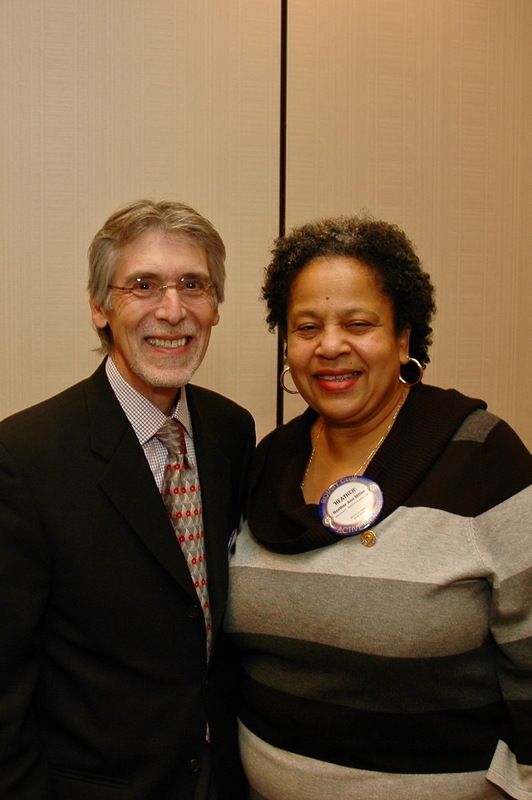 Betty Krulik,a fine arts appraiser, has made numerous appearances on the TV Program "Antiques Roadshow." 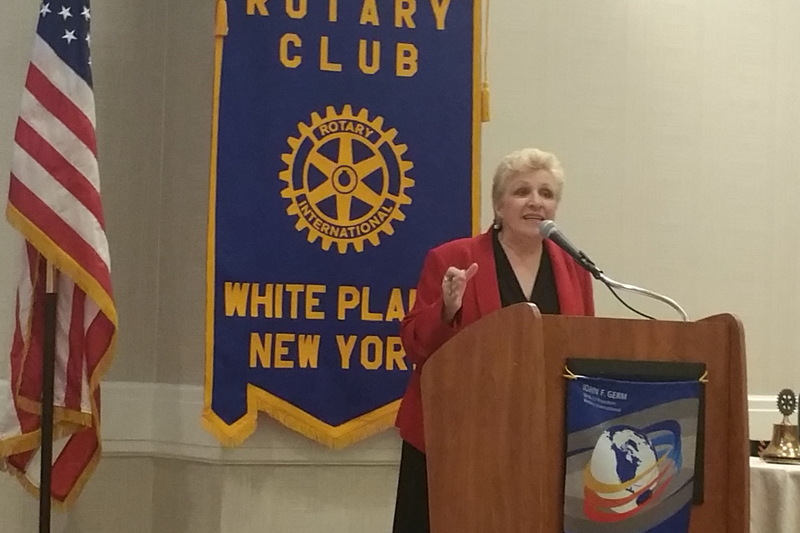 She presented an entertaining look at what and why you have appraisals. 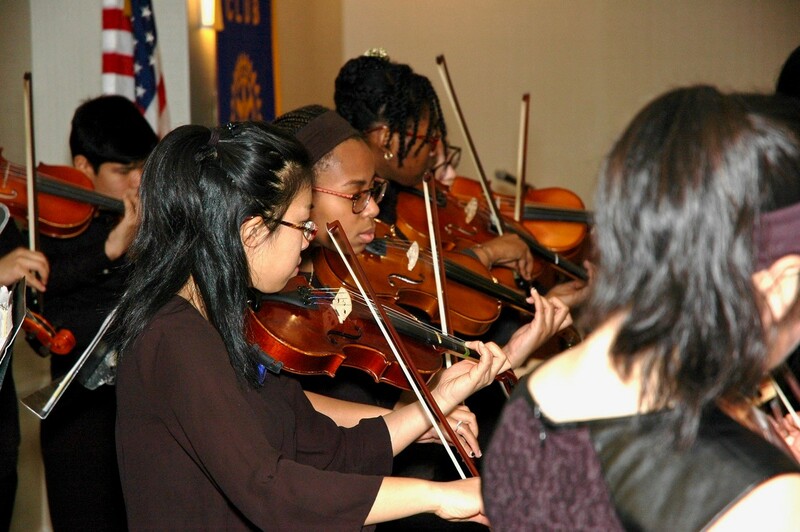 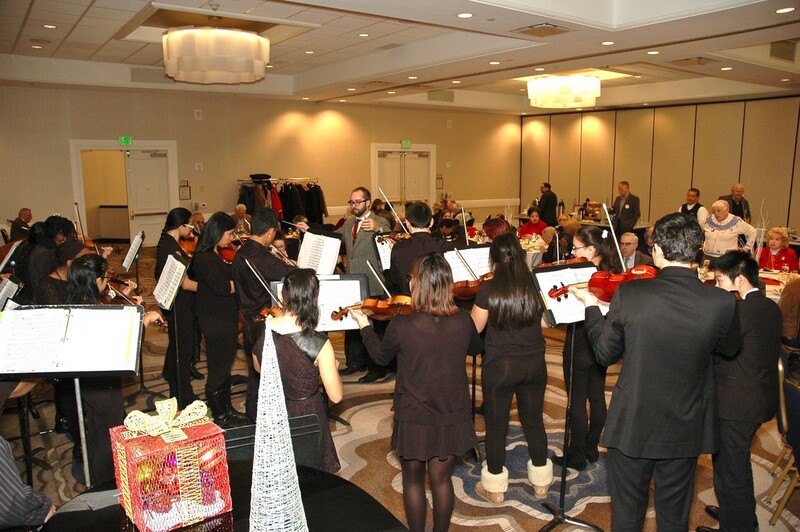 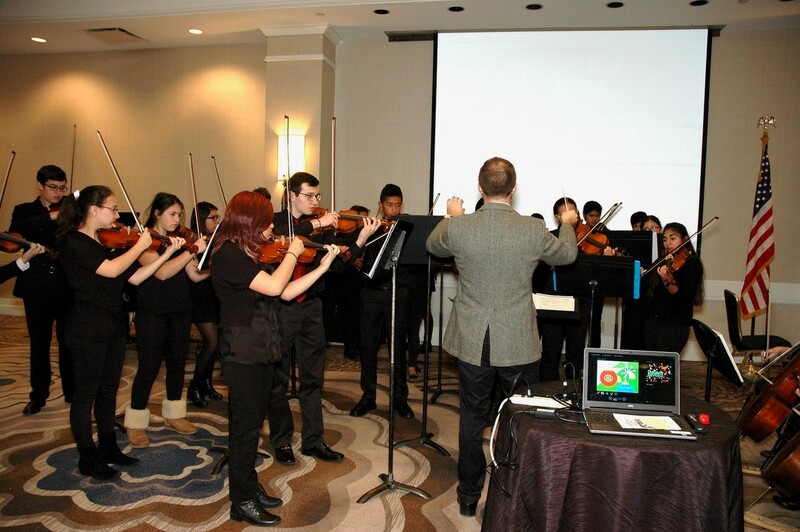 Every year we are the lucky recipient of a concert by the White Plains High School orchestra; always a treat! 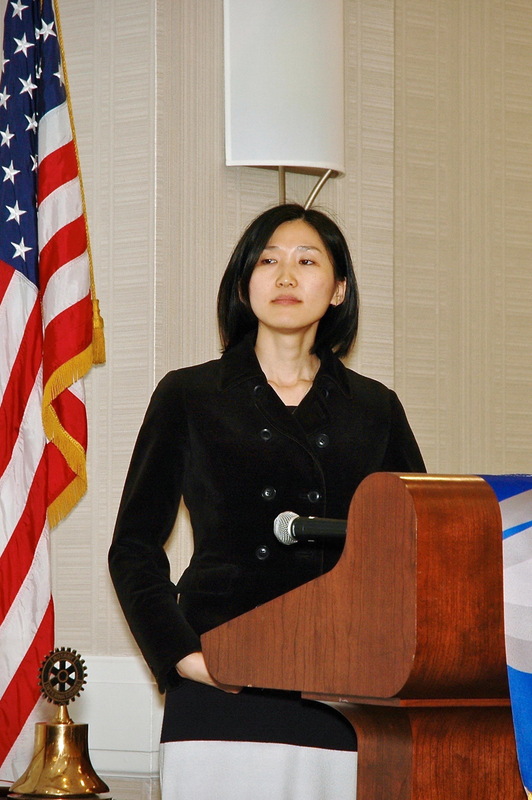 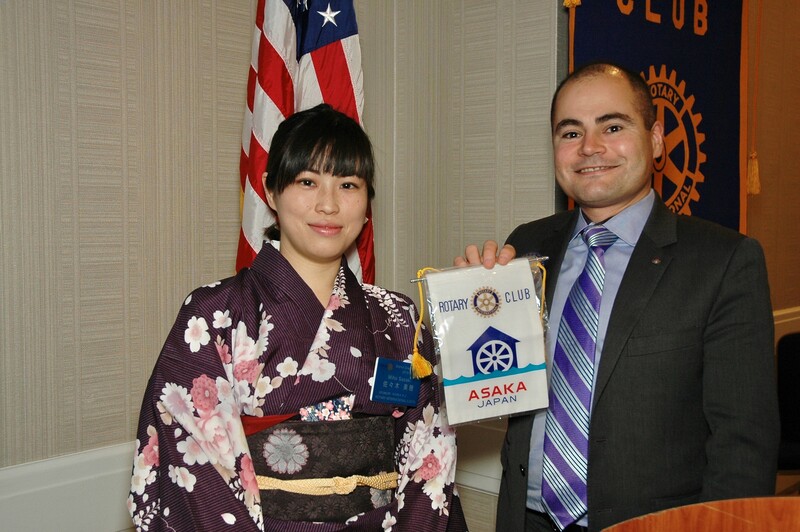 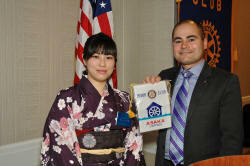 Current Rotary Scholar at SUNY Purchase, Miho Sasaki spoke about Japanese culture and clothing. 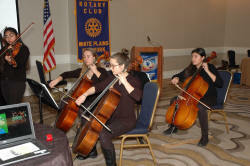 Better yet: she played jazz on the piano for us - what a talent! 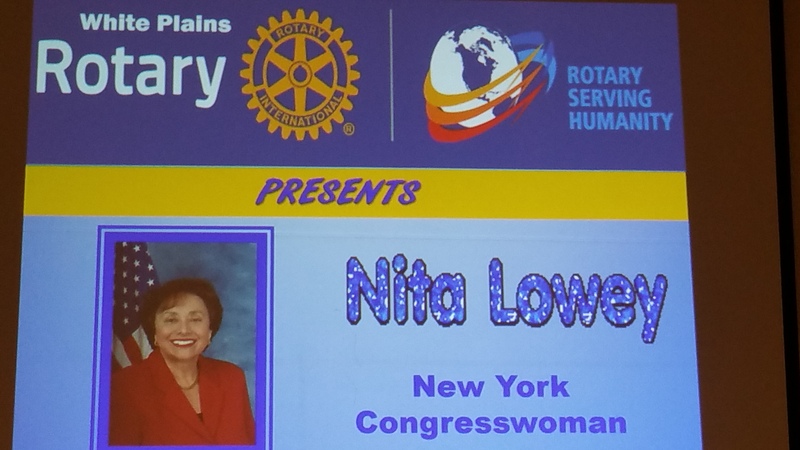 February 7, 2017 "Volunteer NY!" 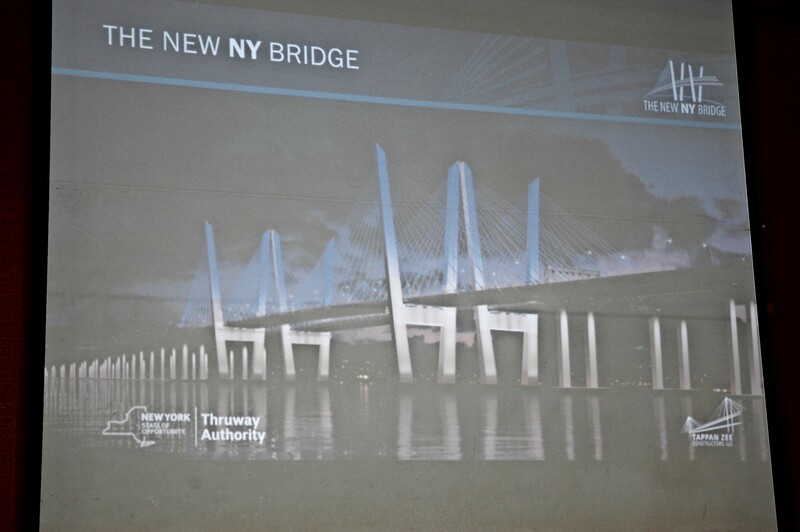 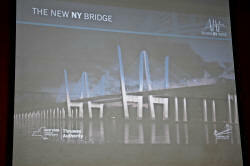 Presenting the NEW Tappan Zee Bridge by the NYS Thruway's Daniel Marcy. 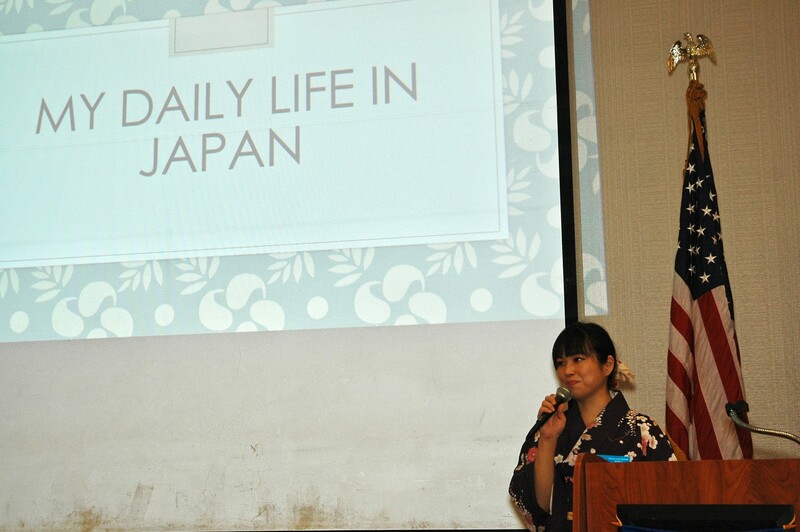 This fascinating program held rapt attention from all! 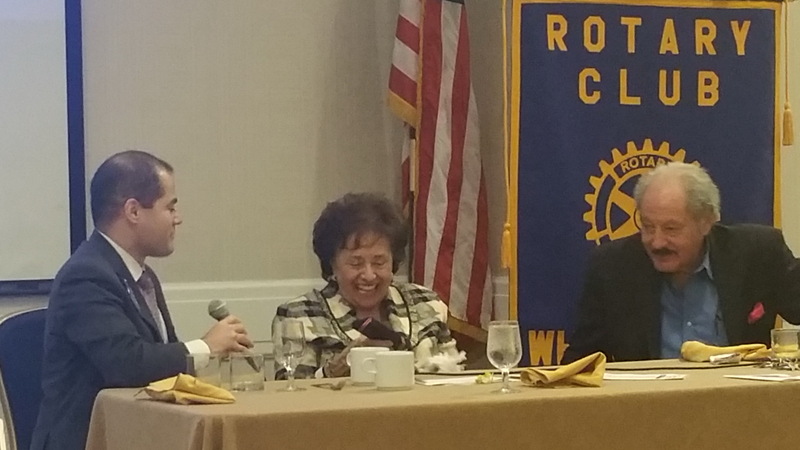 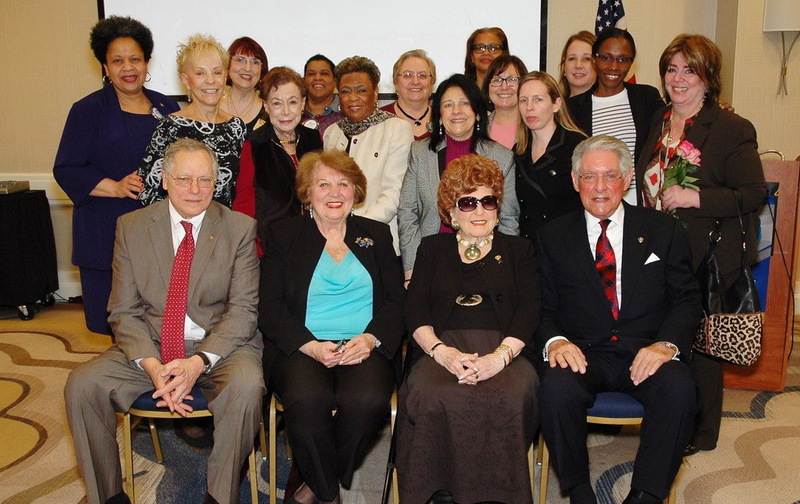 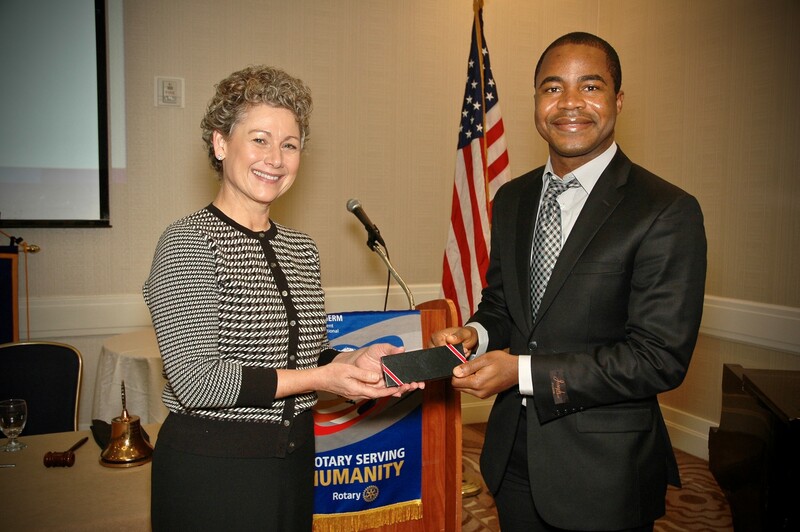 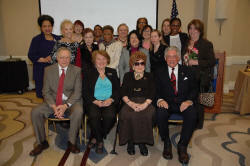 This meeting marks the 30-year anniversary of women joining Rotary, a movement initiated by members of the White Plains Rotary Club. 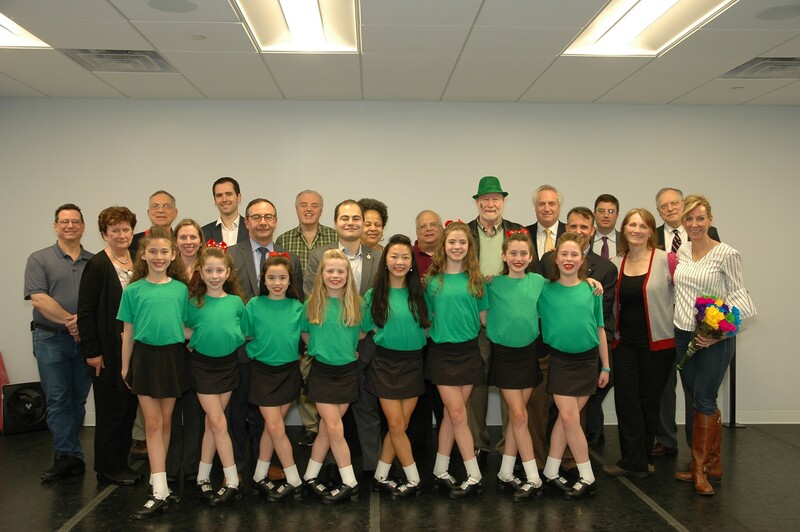 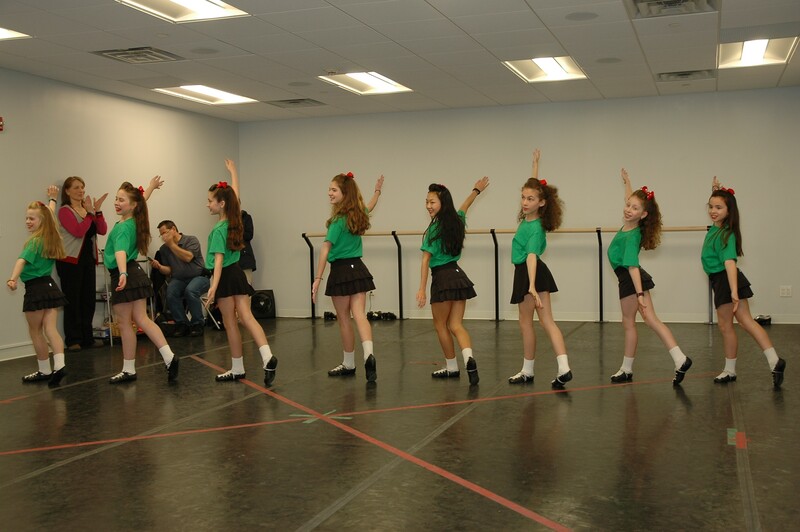 "The 9 Purely Business Reasons To Go Green"
March 28, 2017 -- Our evening meeting was held at the O'Rourke Dance Foundation Studios. 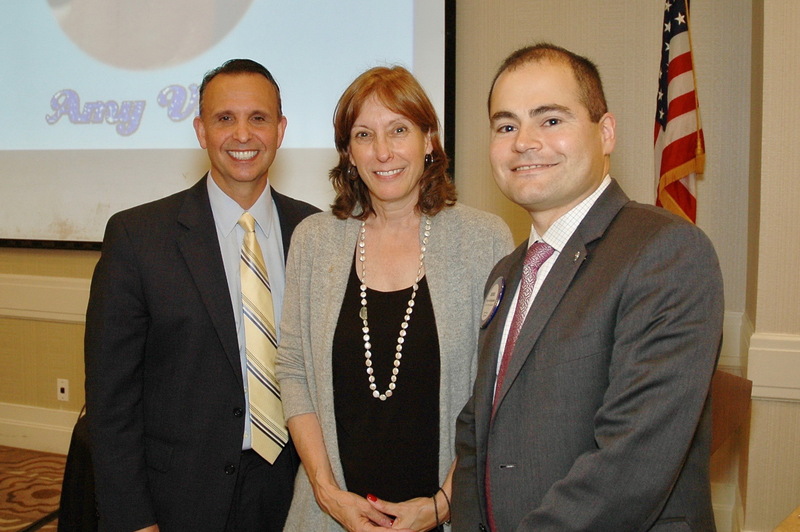 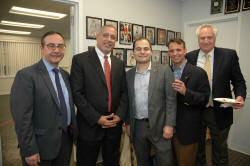 Beverages were sponsored by the Schribman Insurance Agency; dessert by White Plains Lincoln. 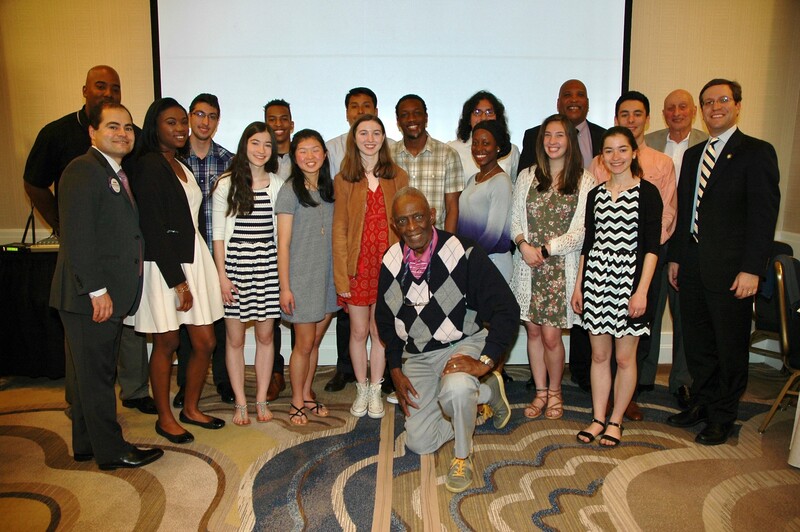 April 4, 2017 Charlie Norris gave a riveting presentation of his work at the men's prison to change behavior and prevent future acts of violence. Paul and Barbara Schwarz visited a Rotary Club in Cartagena. 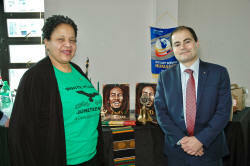 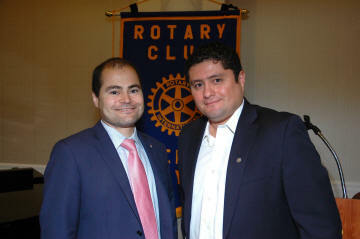 The club meeting was held in the home of Jaime Correa Velez, club president. 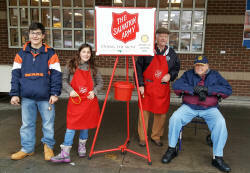 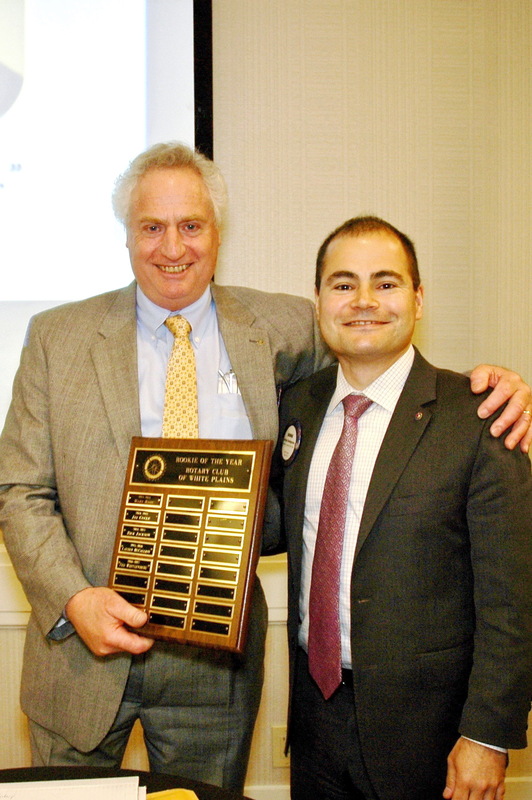 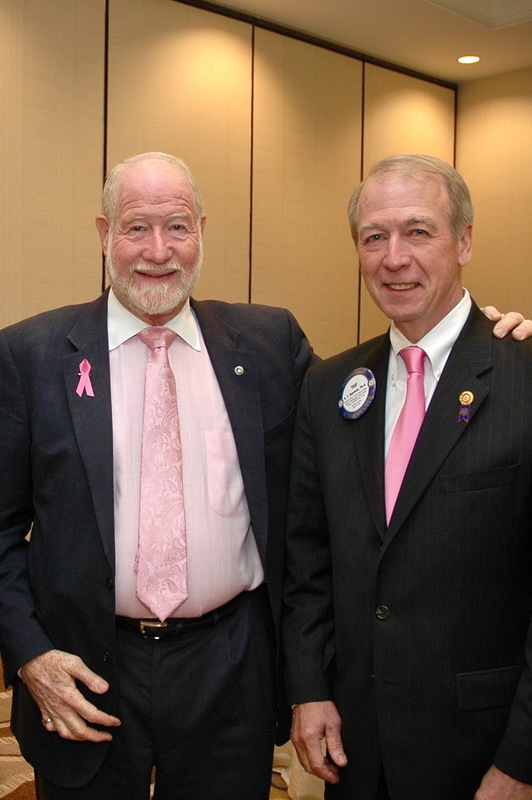 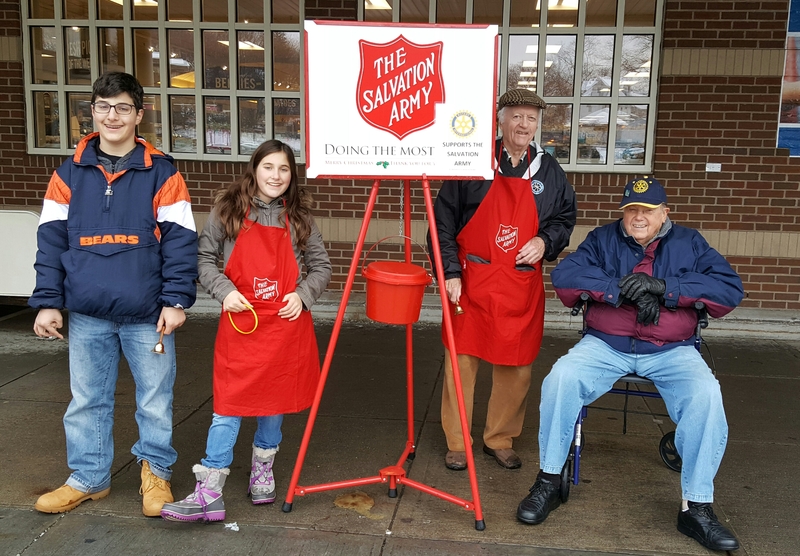 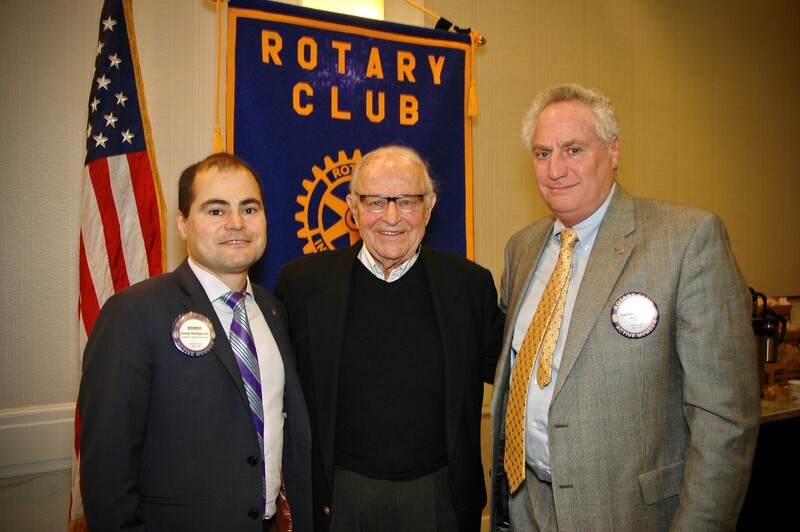 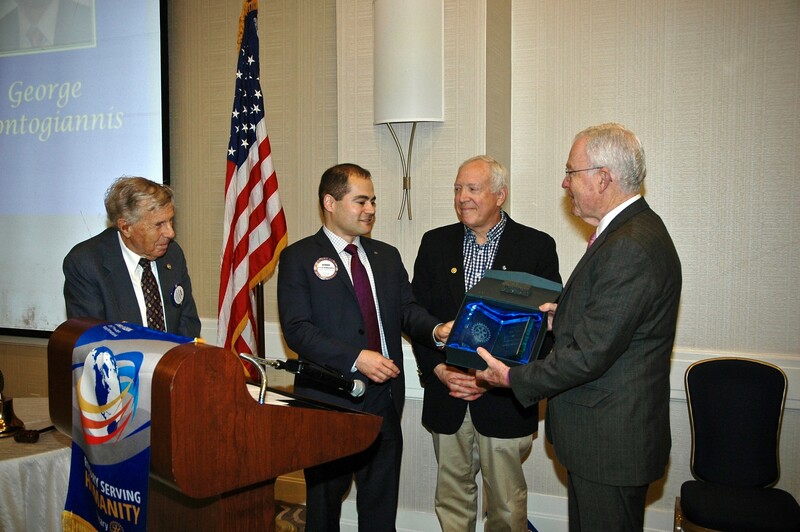 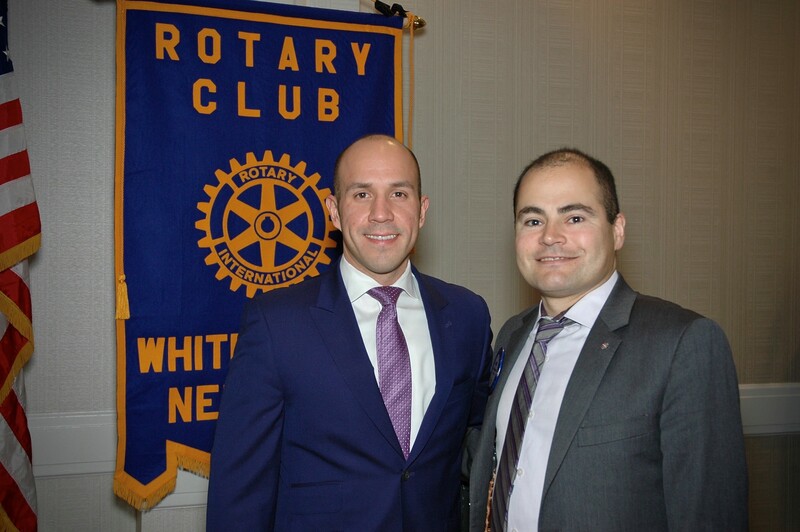 Ted Weitzenberg awarded "Rookie Member of the Year"
Since 1961, the Rotary Club of White Plains has been awarding college scholarships to high achieving, local high school Seniors. 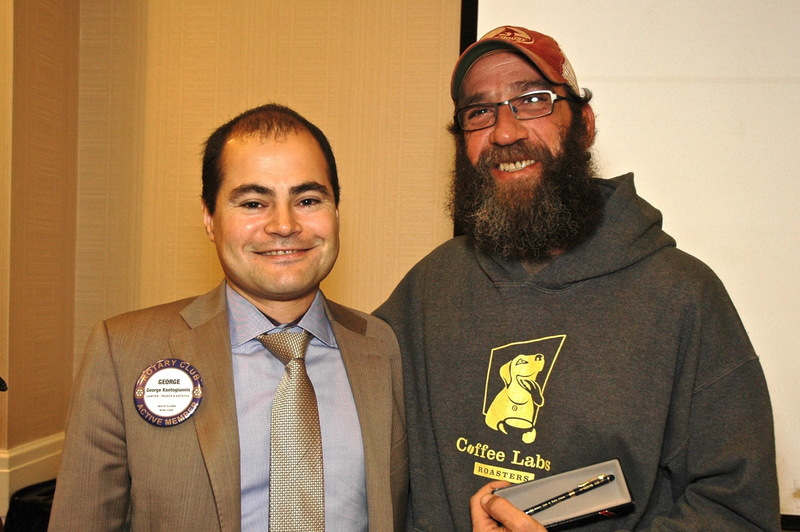 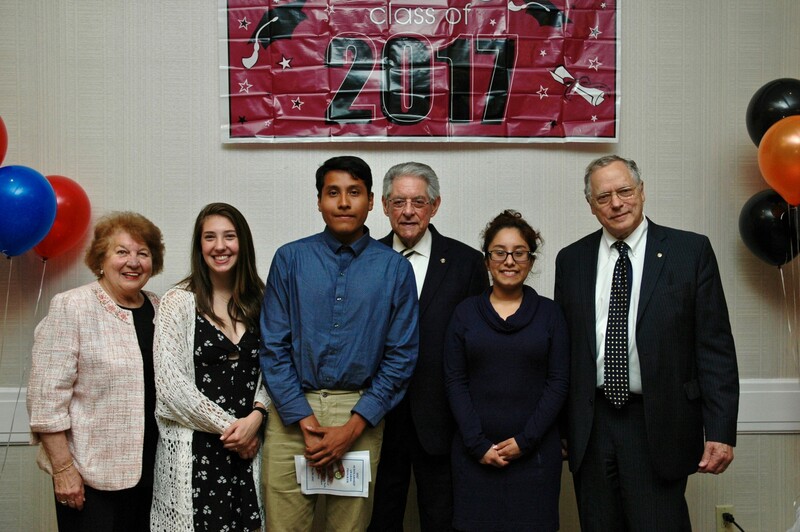 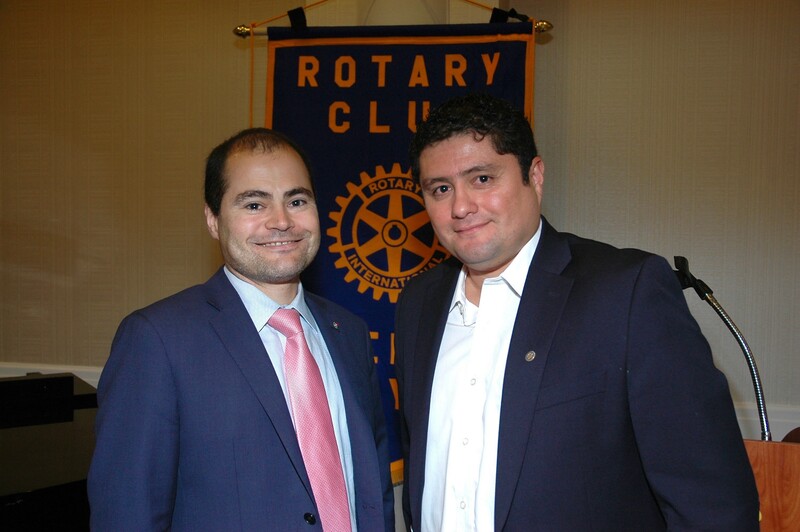 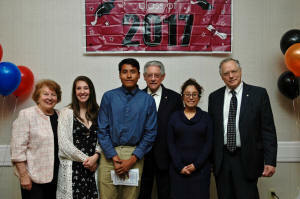 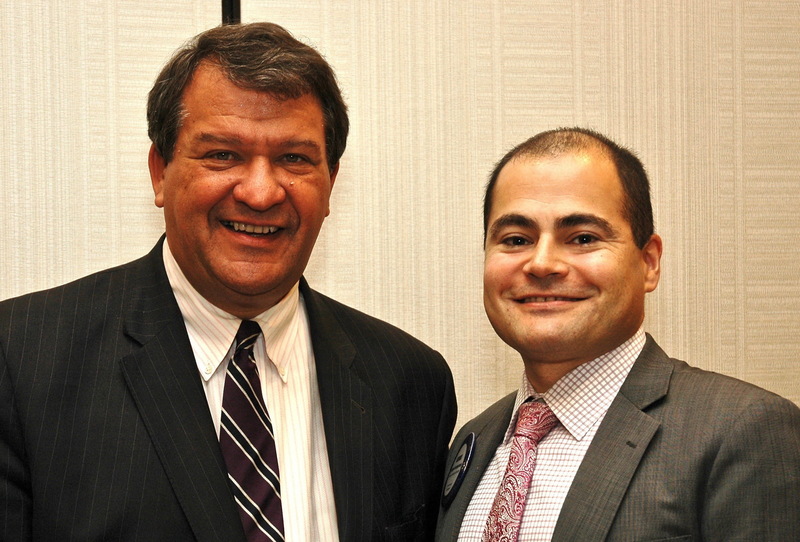 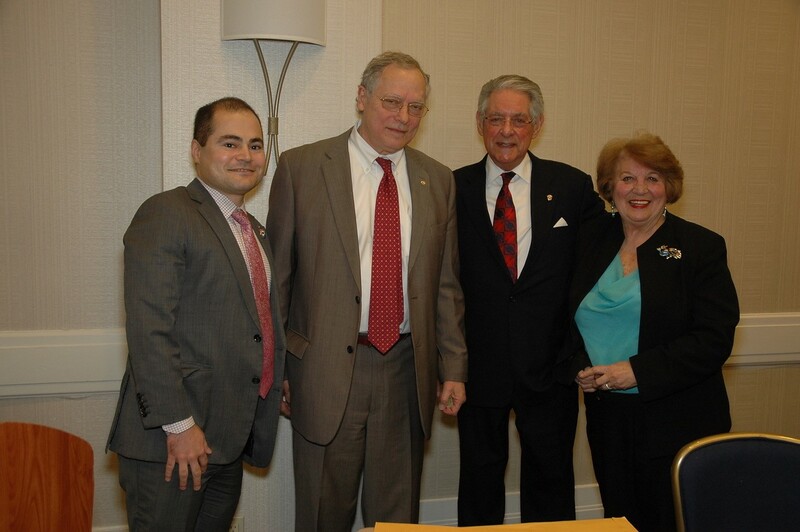 This year, our Club awarded 25 scholarships, including three new, named scholarships to honor outstanding, long time White Plains Rotarians, Rich Scanlan, Andy Morzello, Josiphine Falcone. Thank you to all of our supporters for helping us raise the funds to provide these scholarships. 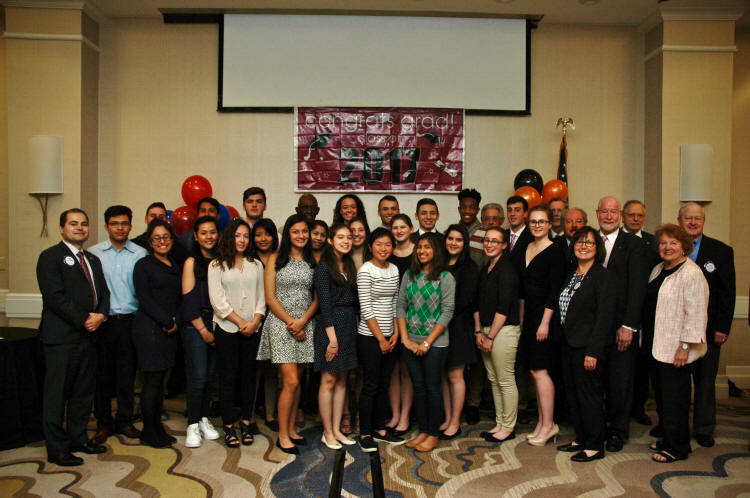 Congratulations to all these hard working students!